The Shipping Corporation of New Zealand Limited and New Zealand Line Limited provide global seafreight services to New Zealand exporters and importers. The Company owns three trademarks incorporating an iconic symbol of New Zealand – the Koru. New Zealand Exporters and Importers using our services benefit from the strong link to New Zealand that the Koru symbol generates. 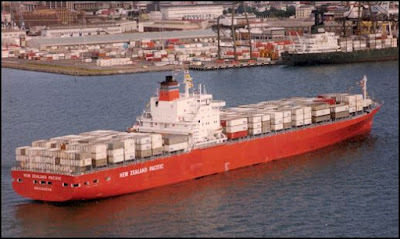 The Shipping Corporation of New Zealand Limited took delivery of the New Zealand Pacific on 20 September 1978. The vessel was built for the company by Bremer Vulcan Schiffbau und Maschinenfabrik of Bremen, Germany. 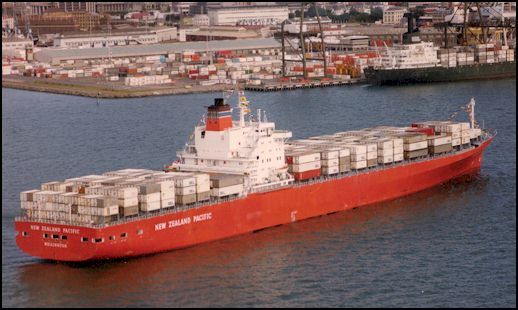 The Shipping Corporation of New Zealand Limited was a New Zealand government owned company at that time.